Earth Day is just around the corner, (22nd April to be exact, so get it in your diaries!) and for many, it’s a time to come together in support of the protection of earth, our home. As my own way of paying homage to Earth Day, I’ve curated a selection of artists creating works inspired by Mother Nature, championing our environment in all its magnificence. 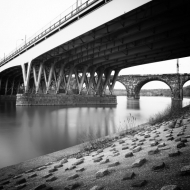 Myriad works in the Rise Art gallery celebrate the beauty of our earth, so today, we stop and pay attention to our planet and showcase the artists dedicated to capturing nature. 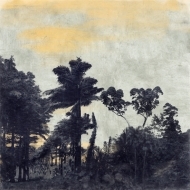 Violet Astor is one of my favourite artists in the gallery right now. 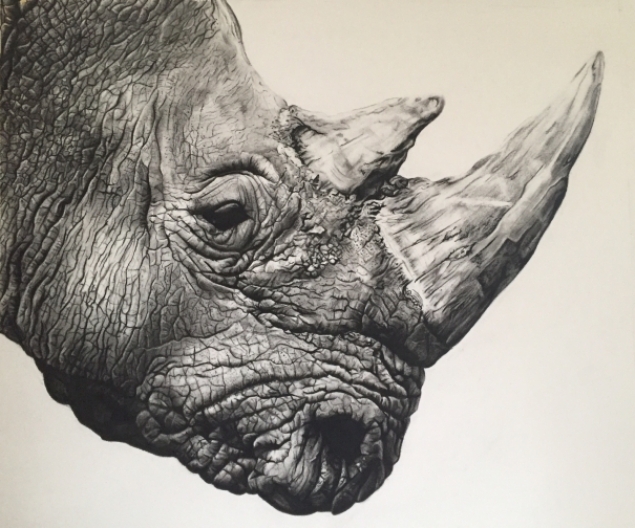 Northern White Rhino was inspired by her discovery that there are only three Northern White Rhinos left in the world, and her large scale charcoal drawings truly celebrate the majesty and grace of the species. For a more playful piece, David White’s dynamic animal paintings are full of texture and movement. 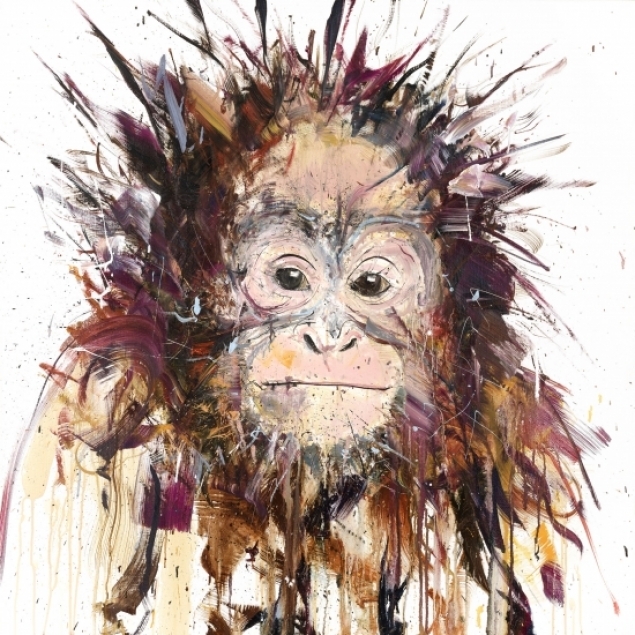 I love the energy in this cheeky Orangutan character, and the diamond dust and gold leaf adornment utterly captivate the observer. I stumbled across Irene Hoff completely by chance, but was instantly struck by her series’ ‘Animal Extinction’ and ‘Animal Extravaganza’. 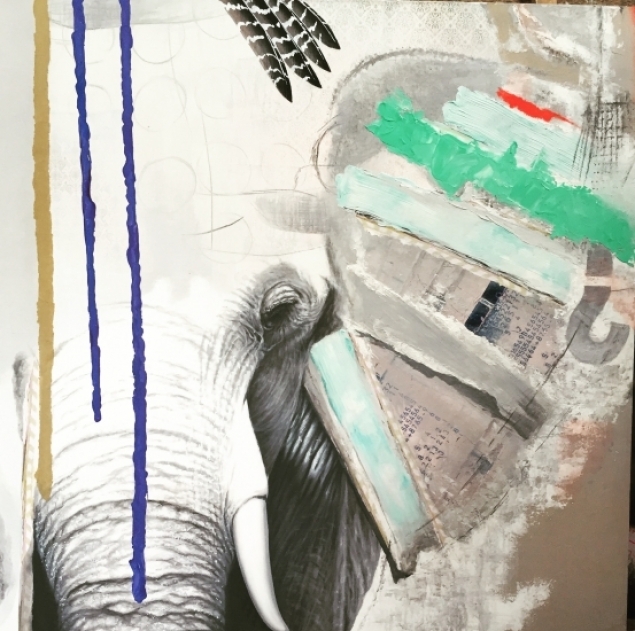 Hoff integrates cheerfully colourful mixed materials into paintings or photographs, to show off the beauty and plight of animals. Nick Miners has (just a tiny) obsession with Iceland, and his aerial shots capture the stark beauty of this striking landscape. Geothermal and Sediment are favourites of mine, the unique aerial composition gives the observer a glimpse of naturally occurring patterns that can only be seen from above. 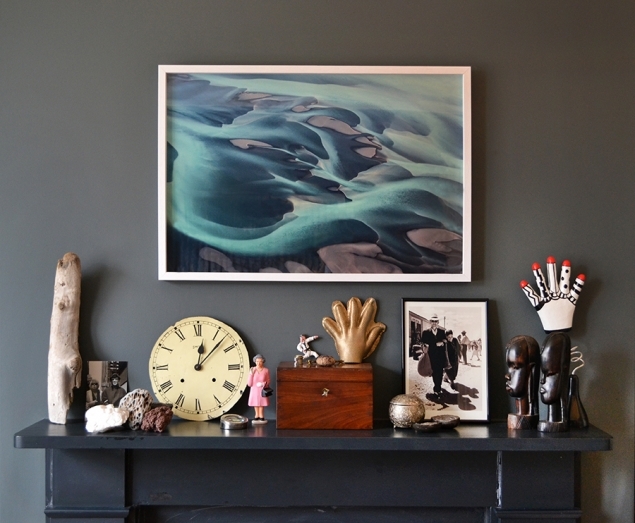 Now, if you enjoy the drama of nature, Energy Peak by Paris Ackrill has an almost celestial quality. 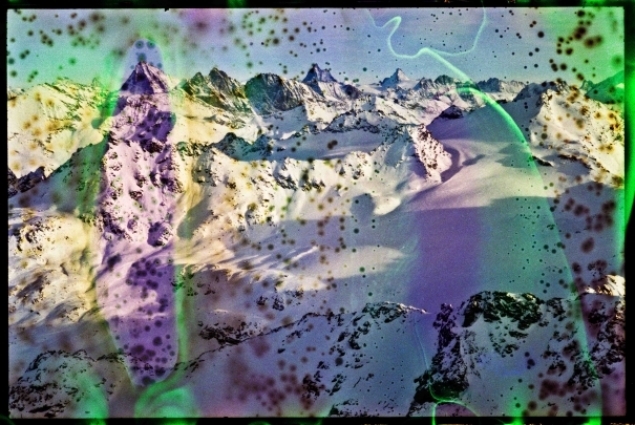 Using pre-treated analogue film, she adorns a seemingly normal mountainscape with playful neon hues, bringing together the divergent yet striking combinations of nature and man-made concepts. 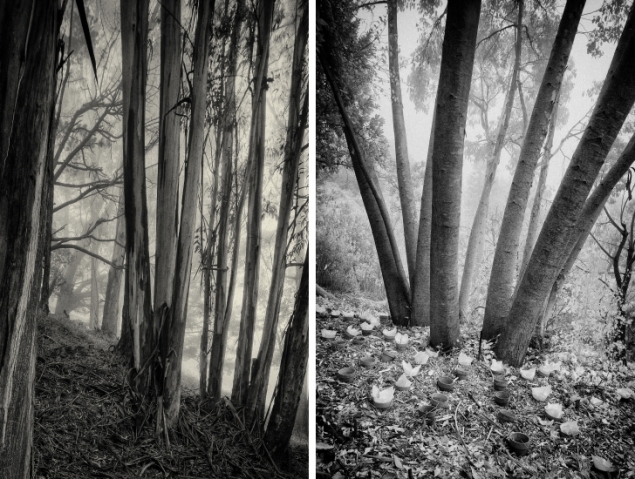 Geoffrey Ansel Argons captures the beauty of our world through a lens, these works depict the calm stillness of the forest, with fog between the trees adding a rather haunting feel. 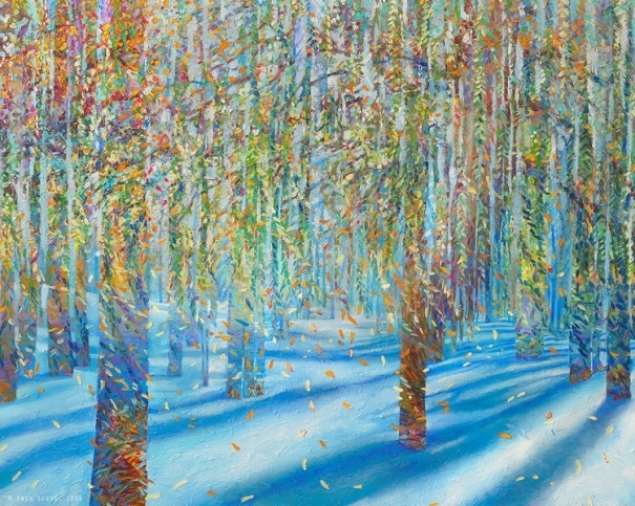 For a colour injection, Iris Scott’s After the Snow Fell sets an autumnal palette against the stark white of the snow to reveal the magic of a snow-capped woodland. 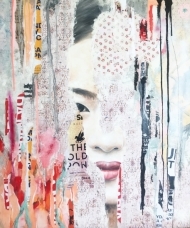 The texture created by her unique finger-painting style contributes to a fabulous feature piece. 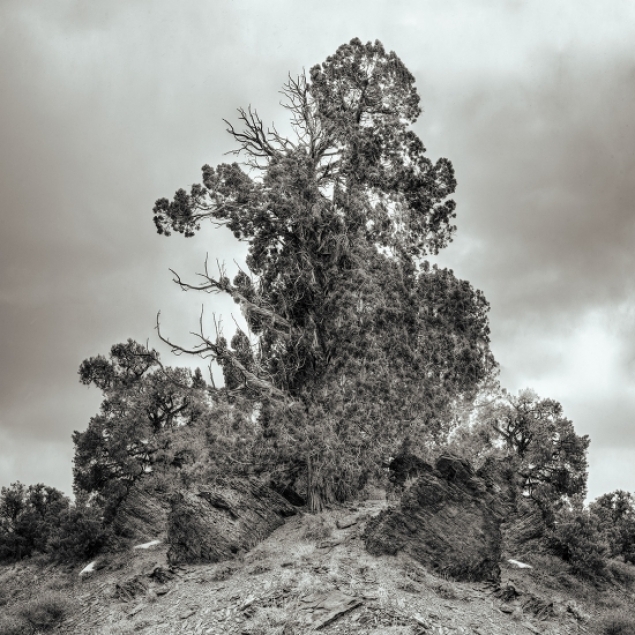 I have always found the endurance of trees fascinating, and Nadia Attura’s The Path to Methusela catalogues the world's oldest living trees; an astounding 4,800 years old and counting. 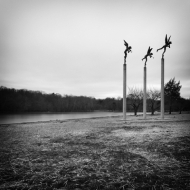 If you like your art to tell a story then this is surely an enchanting one to share. 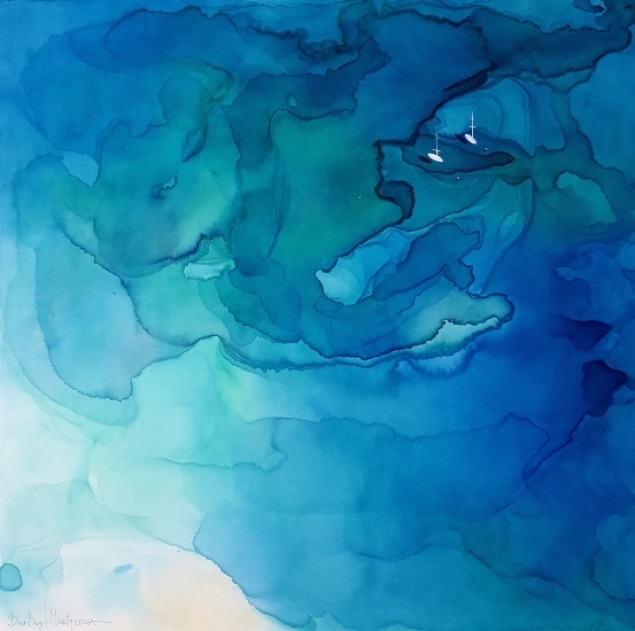 Yuliya Martynova’s Blue Bay I Duo is a painterly take on aerial photography of the ocean. Her original paintings capture the emerald green and aqua blues of the tropical sea... *sighs* I can feel the calm of the ocean washing over me already. Of course, the ocean isn’t always plain sailing, and on the parallel ocean scale lies Jennifer Chandiram’s Purple Rain II. 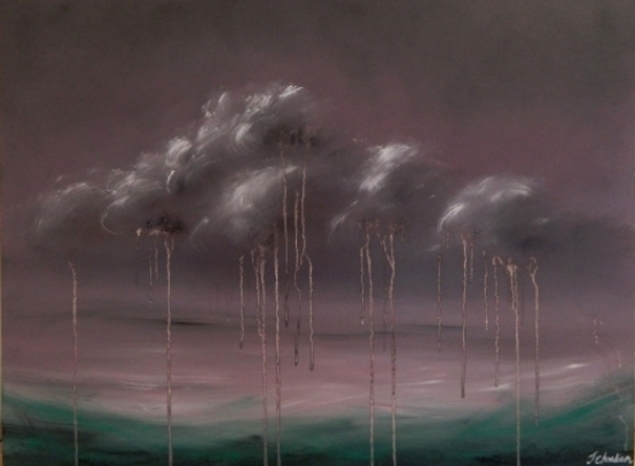 The use of dripping paint and an atmospheric colour palette depicts Mother Nature at her most catastrophic. Curating this selection was tremendously challenging, as I was so overwhelmed by the many wonderful artists that are so passionate about our earth. From the alluring landscapes of Adriaan Van Heerden to the playful animals of Louise McNaught and Kristjana Williams, the list just goes on and can be found here, in our Earth Day dedicated collection.